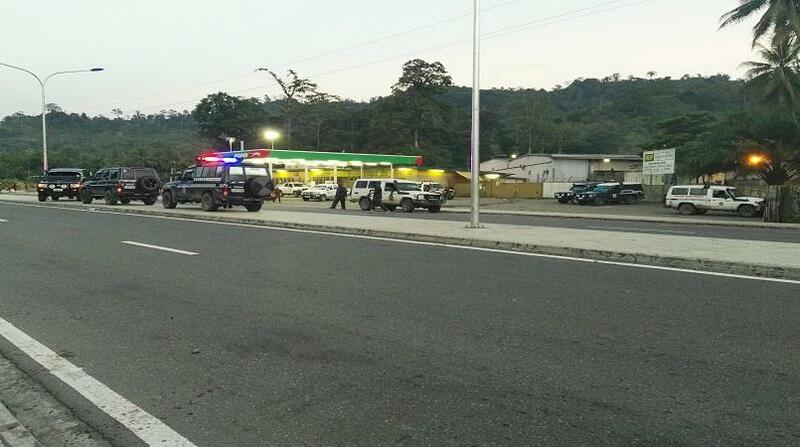 Lae police were engaged in a shootout early Saturday morning with a gang at Five-Mile. A security firm had initially alerted them of an attack on a service station there. “The criminals were exchanging gun fire and stoning the guards,” Lae metropolitan superintendent Anthony Wagambie Jnr said in a statement. “Police on foot went to the location and were confronted by the gang, who engaged them in a shootout. “Police shot three suspects. Two are in critical condition while one is confirmed dead and in the morgue,” said Wagambie Jnr. The police boss said they believed a number of the suspects had sustained injuries and were seen lying on the ground. “However, police could not retrieve them as they were taking fire from the criminals. “I mobilised back up and additional armed units were rushed to the area, where we provided back up and firepower to the first responding units. Prior to the confrontation, police had responded to calls of an armed gang attacking the travelling public at Six-Mile at around 1.30am. “They were heavily intoxicated with homebrew and alcohol. Empty containers and cans of beer were found next to the scene, which was on the main road,” said the top cop. Three police units responded to the call and proceeded to the location at Six-Mile. By then the criminals had left and were hiding in the dark. Seeing that the area was clear, the units started making their way back when the last police vehicle was fired upon by the criminals. 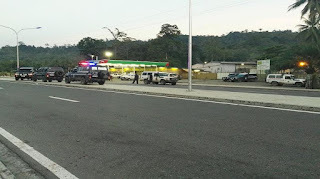 The Lae metropolitan superintendent conducted an awareness in the morning and warned the settlers there to respect the national highway, businesses and the travelling public. “They are asking to be evicted. They need to live peacefully and respect each other,” says Wagambie Jnr.